The snowpack in the Togwotee Pass Area is gaining depth but with a snow height of 78cm it is still relatively shallow. While there is little instability shown in standard snowpack tests it is important to recognize the current weak structure. This structure is the foundation for our seasonal snowpack. 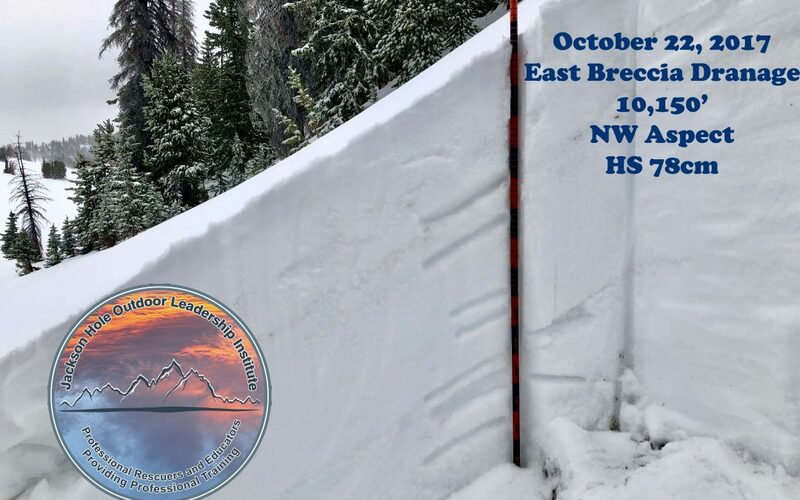 It will be important to see how the snowpack changes over the next few weeks as the snowpack matures into the season. 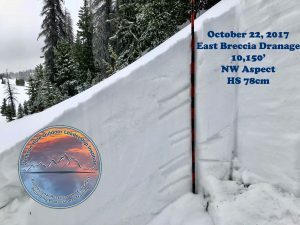 Here is a look at the shallow although very layered early season snowpack in the East Breccia Drainage area…. 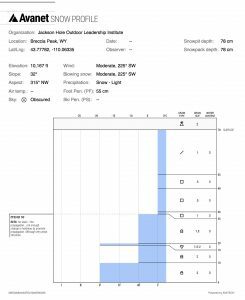 Here is the Full Profile of the above snowpit. What is your recipe to Do More? A few backcountry basics I think we can all agree on!